I’d like to get back into racing, but don’t know where to start? The best way to start is to contact your local ski hill to see what they offer in the way of adult racing and training. If your ski hill has an adult race program then this is the best starting point. If your ski club does not offer any adult racing or training, then you should check out the adult training options at other ski hills. There are a number of options for mid-week and weekend training and/or racing in most provinces, with an adult racing program. Check out your Provincial Ski Organization (PSO) website for more information on Masters’ racing in your area or better yet, contact your provincial Masters’ Rep listed here. Do I need a competitor card? For races within your home province it may only be necessary to purchase a weekend competitor’s card. However, you will need to check with the race organizers a few weeks prior to the relevant race to find out what kind of card you require. 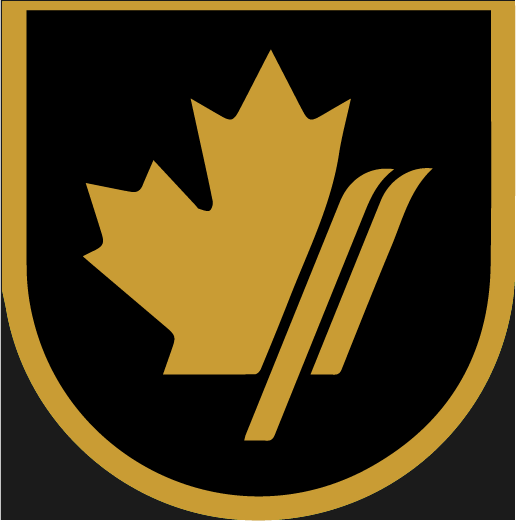 If you would like to race outside your home province, you will need a Master’s National competitor card. The Master’s National card is purchased from your PSO e.g. Alpine Ontario. What is the difference between the Master’s National competitor card and the Master’s FIS competitor card? How do I get a competitor card? For all levels of competitor card, you simply go to the Masters’ section on your PSO website or contact your PSO directly. There will be online forms to complete and authorize or forms to print and send in. The Master’s FIS card no longer requires a medical form, but 3 forms are required: (1) the ACA Athlete Declaration form, (2) the ACA waiver and (3) PSO Registration form along with payment. Each PSO operates differently that you will discover during the registration and payment process. The Master’s National card only requires the PSO registration form along with payment. There is no physical card issued, however, a couple of weeks after sending in your registration forms you should be able to go to the Alpine Canada points website acapoints.ca and search for your name; beside your name is your competitor number and “active” status i.e. you will not receive a notification from Alpine Canada that you have a number. Is there any special equipment required to compete in Masters’ races? The only requirement, along with the usual ski equipment, is to have an approved competition race helmet. Soft-eared helmets are NOT acceptable for any GS, Super G or downhill events in Masters’ racing, However, they are accepted for SL. Alpine Canada Alpin (ACA) released their 2017-18 National Rules & Policies and National Competition documents that all PSOs must adhere to; this stipulates that for all ACA sanctioned Masters’ races that helmets must “be in accordance with FIS compliant rules”. Helmets must be certified to specification ASTM 2040 EN 1077 A and must pass an additional specific test under EN 1077 but at a higher speed of 6.8 m/s. 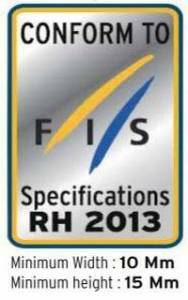 Helmets that meet these requirements contain the non-removable label (under the top gel coat) that reads “Conform to FIS Specifications RH 2013”. This ruling should not come as a surprise to anyone, as this decision has been looming for several years that we first communicated as early as the 2013/14 season. As this new standard has been publicized widely since then, these helmets are not difficult to find and tested to meet much higher standards than the requirements previously imposed. Additionally, if anyone is still using an old non-FIS compliant helmet, it is likely a few years old already. With weather, sun and the helmet taking hits from falls and gates, it is likely time to replace your helmet anyways. No price can be put on the safety of your brain! Once you familiarize yourself with Masters’ racing, you can determine what other equipment changes you would like to make to meet your goals—if any. For FIS Masters’ races only: There is no minimum ski length requirement except for Super-G. The minimum ski length requirement is 185 cm for men of 65 years of age and under; the minimum ski length requirement is 180 cm for women of 55 years of age and under. Note that there is no minimum Super-G ski length, width or ski radius restriction for women over 55 and men over 65 years of age. Is it costly to race Masters? There is a cost to purchase your Masters’ National card that varies slightly by province. The equipment you chose to use for racing is up to you, but if you’ve had kids in racing you know that race equipment is not cheap. You will see a variety of equipment amongst Masters’ racers so it’s not necessary to purchase the best race equipment out there. There are also race entry fees, some are nominal and some are more expensive depending on the event. If you choose to travel to races, there will also be the travel and accommodation costs to factor in. There is absolutely NO pressure to enter any races. This is a sport we do to keep active, have fun, be social and get some of that competitiveness we like to experience! How can I be competitive against the younger racers—especially those just off the FIS circuit? Masters’ racing in Canada and internationally use 5 year age categories for determining a place. In Canada our first age category is 18-29, then 5 year increments past that for each gender, all the way up to 90+. Internationally, Masters’ FIS starts at age 30. What are World Cup Points and how do I earn them? If I’d like to participate in FIS Masters internationally, how do I do that? First indoctrinate yourself to Masters’ racing in your province or Canada and within that forum you will meet a number of Masters who compete internationally; this answer will naturally follow.